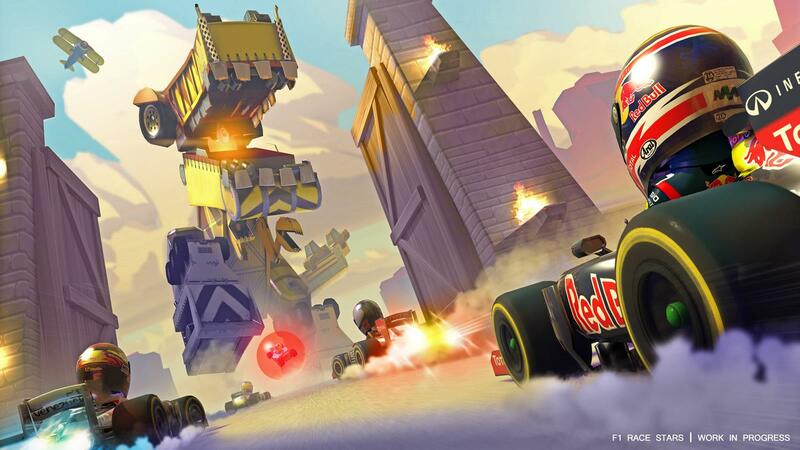 Η Codemasters έδωσε το επίσημο trailer του F1 Race Stars, του νέου cartoon παιχνιδιού της για τη Formula 1. Στο παιχνίδι, οι πιλότοι της Formula 1, αποκτούν μορφή cartoon και τρέχουνε με τα μονοθέσια τους στις πίστες του φετινού καλενταρίου οι οποίες και αυτές έχουν δεχτεί αλλαγές στην ιδέα του cartoon. Οι πωλήσεις του θα ξεκινήσουν στις 13 του Νοέμβρη και θα είναι διαθέσιμο σε PC, Xbox 360 και PlayStation 3. 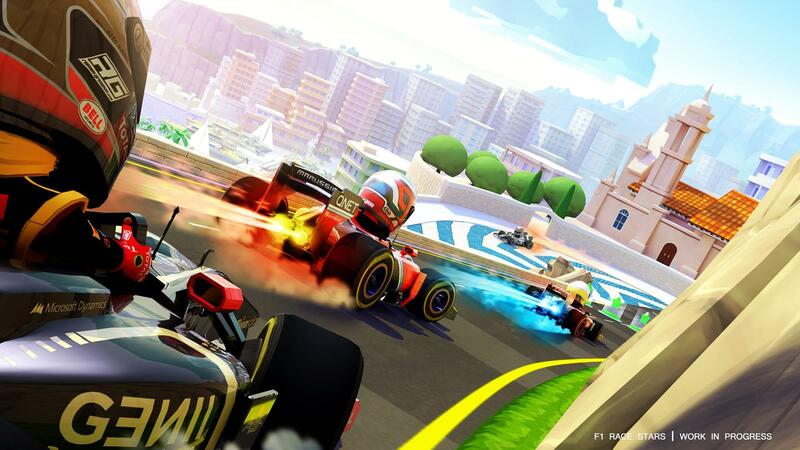 Today Codemasters® launched the first gameplay trailer for F1 RACE STARS, the fast-to-the-fun arcade racing game featuring official FORMULA ONE cars, teams and circuits as they’ve never been seen before. 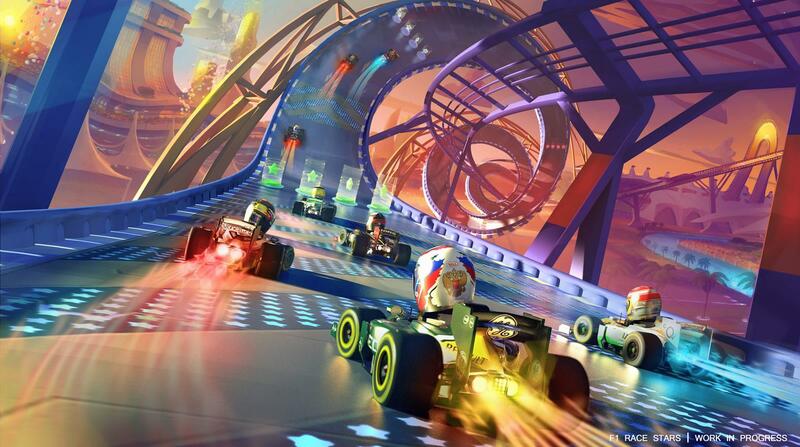 Set to arrive November 13 and available for pre-order now, the first trailer video is now playing at www.F1RaceStars.com. 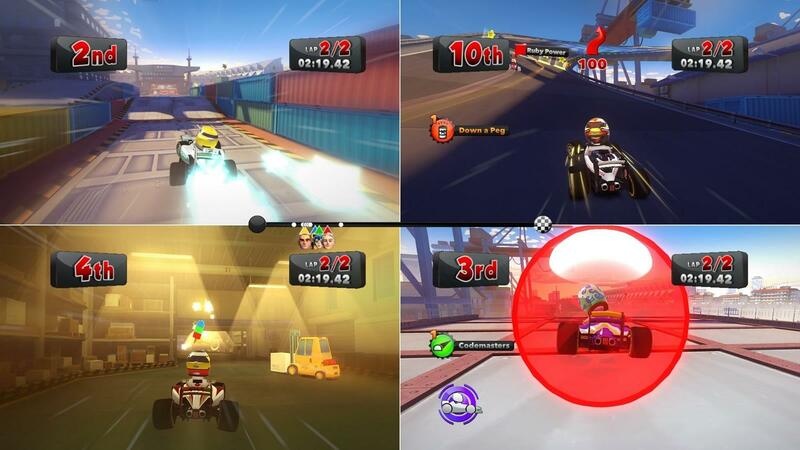 In the gameplay video, the cast of F1 RACE STARS speed through loop-the-loops, soar through the sky making huge jumps and charge through tunnels whilst collecting and using a range of fun power-ups to boost ahead or slow down their rivals. 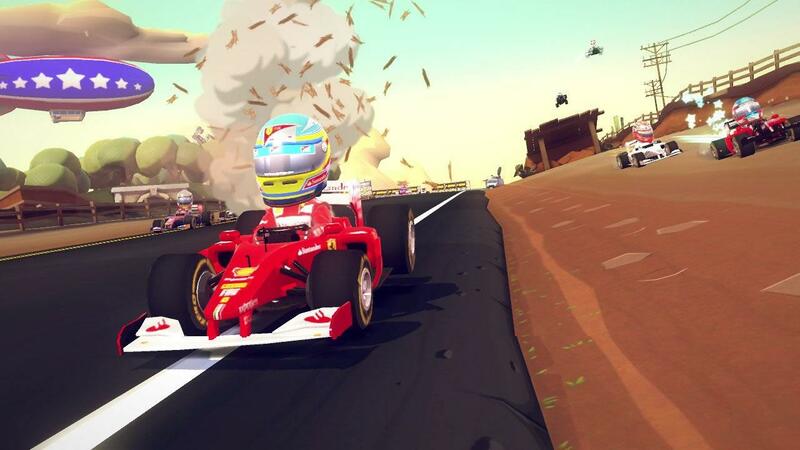 From battling for position beneath a neon-lit Ferris wheel in Singapore and dodging a Truckasaurus in the U.S., the video reveals how each circuit in the game turns into a fantastical stage of FORMULA ONE fun. 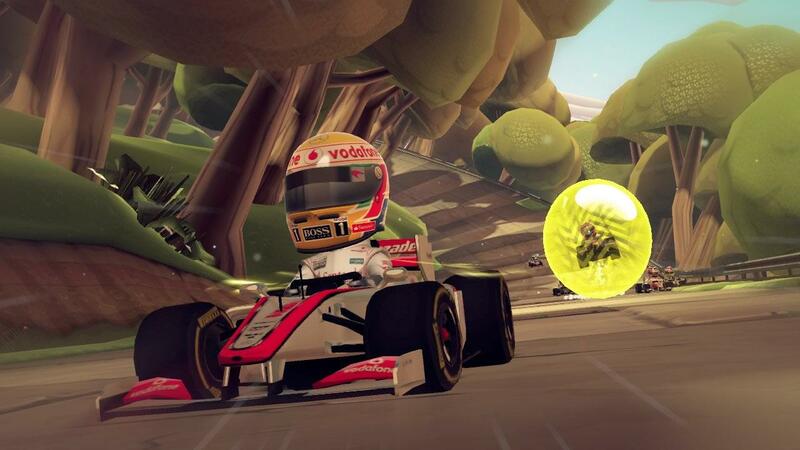 Packed with audacious overtaking moves, cheeky taunts and speedy boosts, see the F1 RACE STARS speed through castles, forests and more. 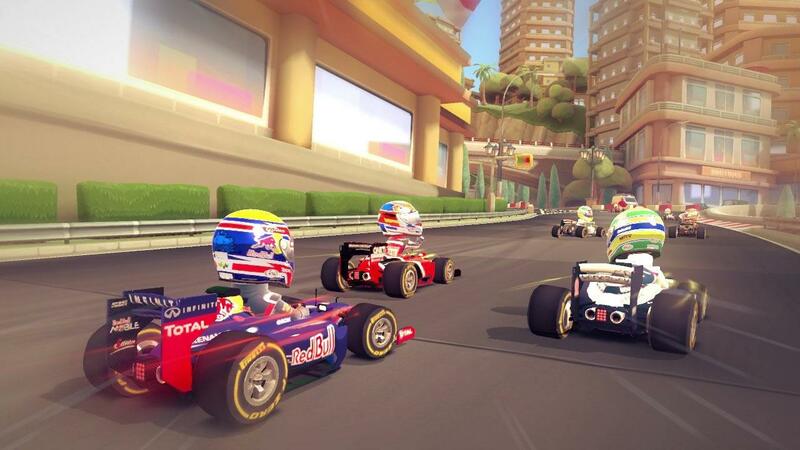 On every straight, hairpin and barrel roll, players will experience F1 RACE STARS’ unique brand of superfast FORMULA ONE racing as they go wheel-to-wheel with all the official FORMULA ONE drivers, transformed into heroic caricatures bursting with personality. 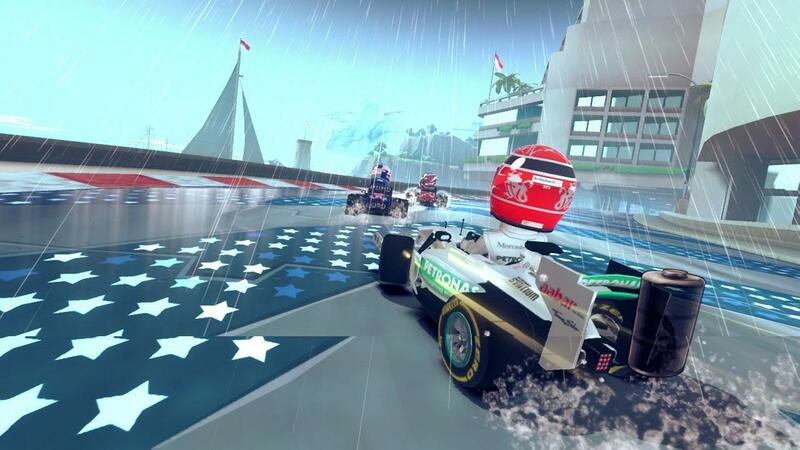 In the sprint for the checkered flag, gamers can pick and choose from a range of fantasy and FORMULA ONE themed power-ups, from calling in Wet Weather to slow the pack, deploying DRS to speed past rivals and using a range of sneaky bubbles to trap other drivers! 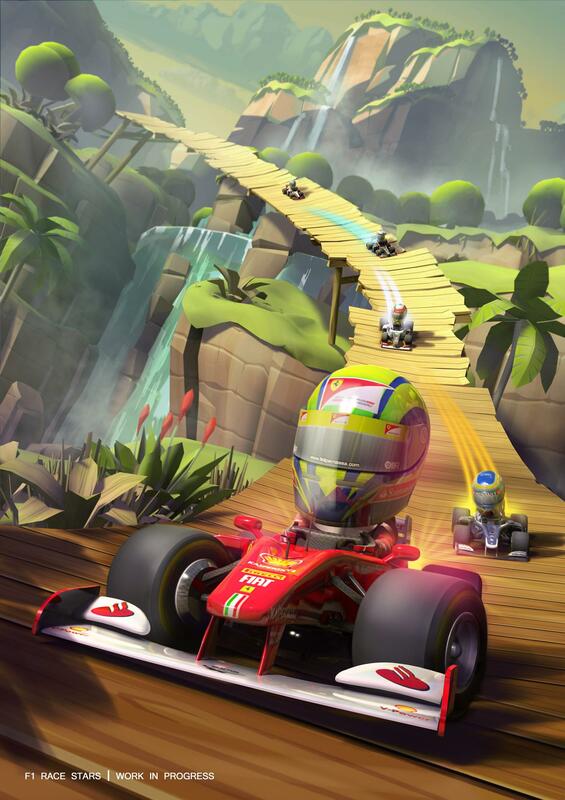 If their car takes damage, gamers can race through the pit lane to get back up to speed, whilst a variety of different routes, boost pads and shortcuts will all slingshot players ahead. 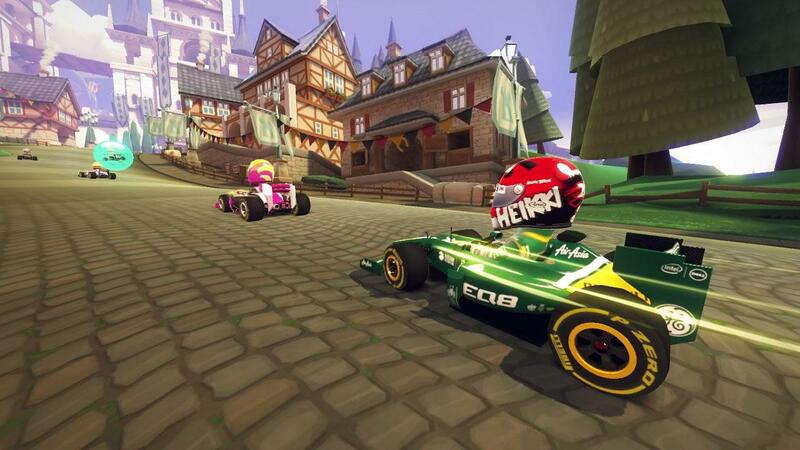 An extensive career mode features three tiers of difficulty and includes both traditional GRAND PRIXTM competitions and a range of objective game modes, including races against the clock, gate challenges and more. Gamers can also dive into free play for a quick blast around their favorite circuit or enter Time Trial for the ultimate test of pace. 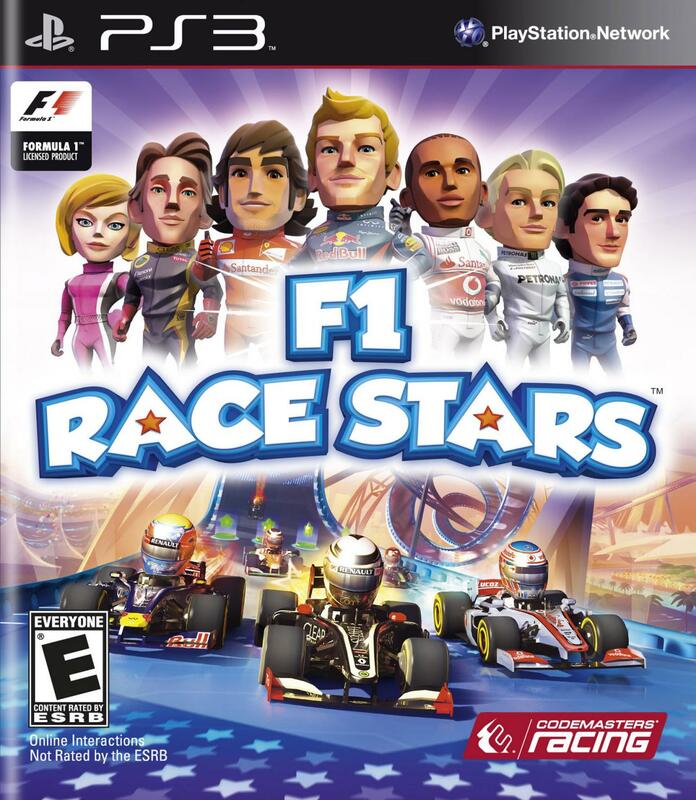 Designed to share the fun with friends and family, F1 RACE STARS includes four player split-screen racing, which can be combined online for 12 player multiplayer gaming. 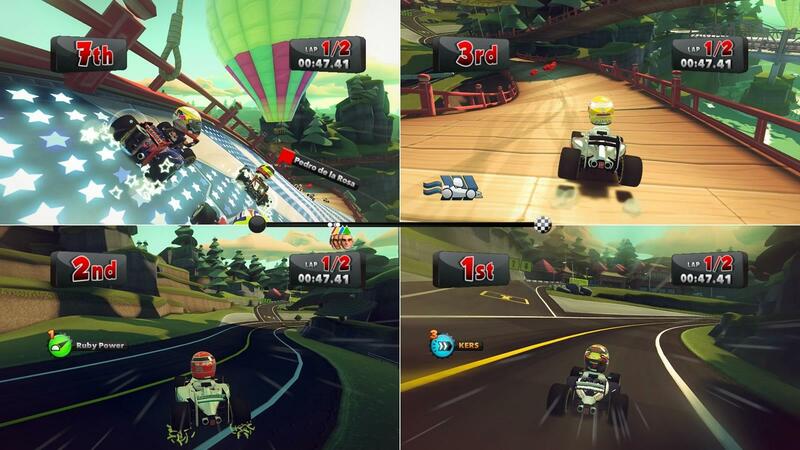 Gamers can also enter a range of on and offline races in teams to join together in competition. 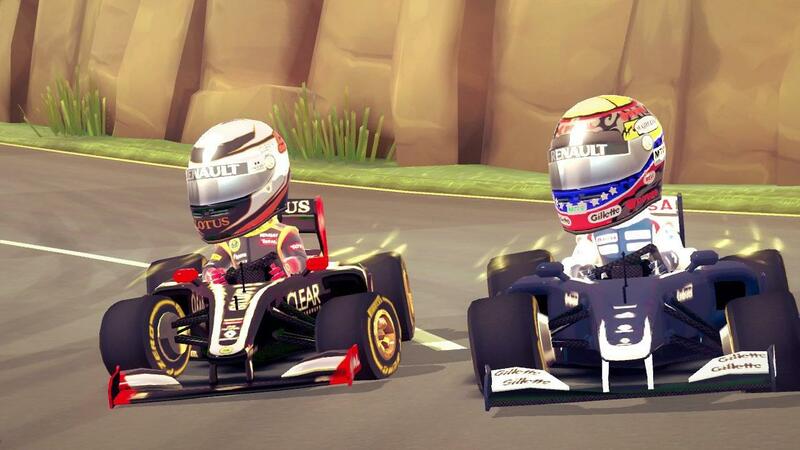 Extending the fun further, F1 RACE STARS will integrate with Codemasters’ RaceNet, the free online extension for Codemasters Racing games, where players can track their races, rivals and rewards and join in regular F1 RACE STARS community events. 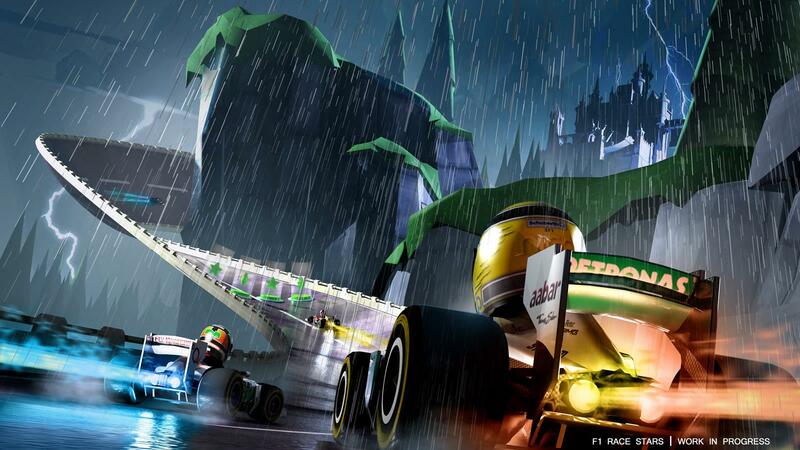 Coming November 13 for the Xbox 360® video game and entertainment system from Microsoft, PLAYSTATION®3 computer entertainment system and Windows PC, F1 RACE STARS is in production at Codemasters Racing Studios, the home of the BAFTA award-winning series of Official FORMULA ONE video games, and is being created under exclusive worldwide agreement with Formula One World Championship Limited.